Once you've successfully registered as a nichemarketer, you will have access to some pretty exciting features, and we hope you take full advantage of all nichemarket currently has to offer entrepreneurs looking to break into the digital space. 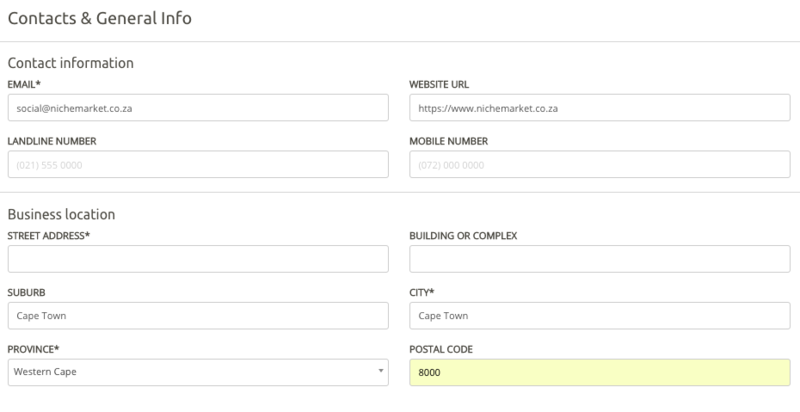 There are a couple of ways to create your listing once you've logged in to nichemarket. You will now need to complete our 5 step business listing process. We realise it may be a bit of a long process for some, but this is your business. You shouldn't be taking shortcuts when marketing and expecting customers to bang down your door like every day was Black Friday! Once done, click "Save & Continue." The image gallery can be used to showcase your storefront, products, price lists and more. To add a photo to your profile click "Upload photo" and select an image from your desktop or mobile device. You are limited to adding one photo to your image gallery for now so make it a good one. Customers always have questions and often it's the same ones over and over. 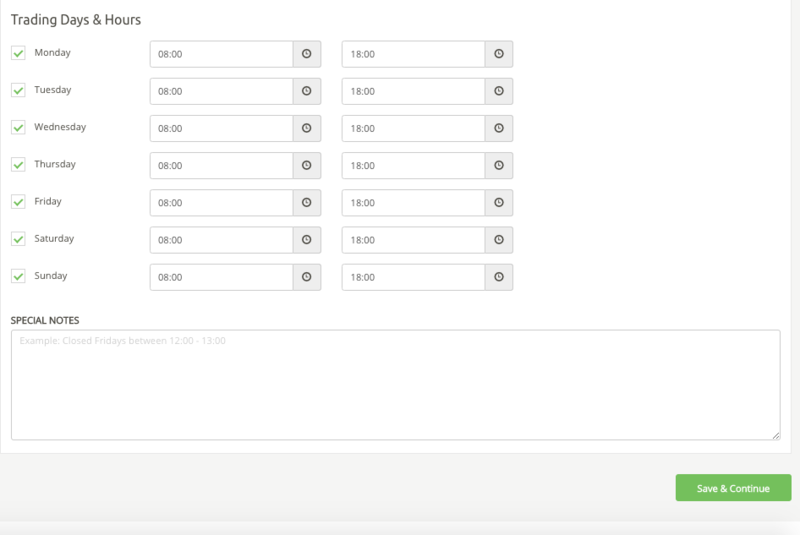 Instead of having to repeat yourself, why not add the most popular questions and answers to your business listing. Give potential customers more information about your business and if your service fits their search criteria. Now all that's left to do is submit your listing to the site. You can give it a quick once-over by clicking publish or submit it to us for moderation. Don't worry if you pick up any mistakes. You can make updates to your business listing at any time. Now that you've completed the listing process and submitted your business listing for review, we get to spring into action. Our team of moderators will check to see if you crossed your T's and dotted your I's and if everything looks to be in order, you will be approved in no time. Listed businesses will now have access to our audience of around 80 000 visitors a month and growing. We will continue to expand our audience and place your business in front of hundreds or even thousands of potential customers each month. From myself and the team, we wish you all the best with your business and thank you for using nichemarket! The nichemarket site is currently in beta phase, and we're planning to launch even more features to help promote your business online. So stick with us and sign up to our newsletter to get the latest news and early access to our most exciting updates. If you followed these instructions and you still find yourself stuck in limbo, or not sure what to do next, then feel free to contact us and let's see if we can help you out of this pickle.